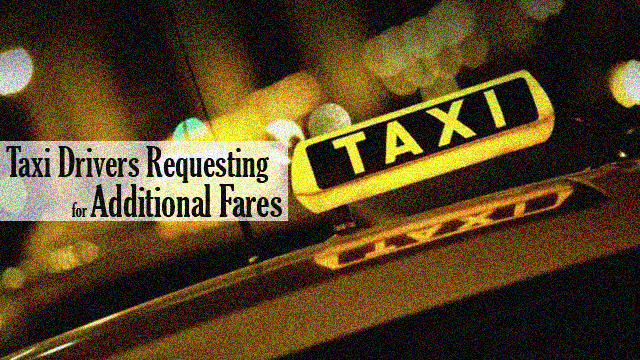 A group of taxi operators are reportedly asking for a higher fare from their passengers. Philippine National Taxi Operators Association President Bong Suntay was present at the Senate yesterday to explain the resentment of taxi drivers. He explained that some of them are sometimes moody because they can’t get their boundary especially when they are stuck on a heavy traffic. If there’s a driver gets stuck on traffic for an hour, his meter will only earn him Php 75 because his waiting time is only Php 3.50 every 2 minutes. Every driver pays a daily boundary with an amount of Php 1200 so they need to earn Php 60 per hour to get their boundary. There are also some who ask additional payments on their passengers. Suntay then explain that he is not defending the rude behavior of some taxi drivers but rather telling the truth. The request of the operators is no different from popular mobile applications, Uber and Grab’s high fare when in fact they are from the same business. They denounced that these apps have the advantage while they are left behind. If there’s traffic, there’s a high demand that the cars will go to Grab and Uber users if not, their drivers will not give service to their passengers. Just last month, the Land Transportation Franchising and Regulatory Board announced that they will apprehend uber drivers who will continue to operate without franchises. When this news came out, netizens expressed their disappointment with LTFRB including celebrities. Coleen Garcia tweeted that through this application, commuting is much easier and convenient. Kapamilya actor Enchong Dee also expressed his opinion by posting a viral image quote mocking the government agency with a caption that money is the source of this controversy.